Our Organic Tuberose Essential Oil – Enfleurage is most rare and is organically extracted from the flower by the ancient method of enfleurage. Smaller sizes are gift boxed. No returns for Enfleurage oils due to limited supply. You may wish to test first: Vial 5 pack: Samples. Also known as Organic Tuberose Essential Oil and Tuberose Absolute. Our Organic Tuberose Enfleurage is part of our Artisan Quality line of essential oils. Our Organic Tuberose Essential Oil – Enfleurage (Polianthes tuberosa) is pure undiluted Tuberose Oil extracted by Enfleurage. Most Tuberose Oil is extracted by harsh chemical solvents and is therefore called an “absolute” (or Tuberose Absolute). FYI – Some refer to this tuberose oil extracted by the enfleurage method as Organic Tuberose Essential Oil but, the proper term is Organic Tuberose Enfleurage Oil. Our Organic Tuberose Essential Oil Enfleurage is most rare, coming from a small grower/extractor in South America who extracts the essential oil from the flower by the ancient method of enfleurage, using only palm oil (organic) and alcohol (organic) derived from local sugar cane (organic). The entire process of extracting the Tuberose oil it done by hand using no heat and no harsh chemical solvents. Pure local palm oil is used to absorb the aromatic oils from the Tuberose flower petals. Once the palm oil is completely saturated with the essence of the tuberose flower, the palm oil is separated from the Tuberose oil by cane sugar alcohol which and evaporated to leave only the pure Tuberose oil. 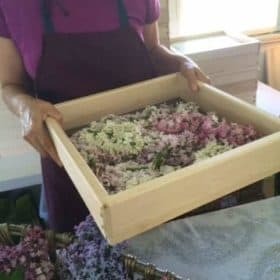 The process for producing the Organic Tuberose Essential Oil is quite labor intensive and requires many pounds of the Tuberose flower petals per milliliter of oil, but the results are astounding. 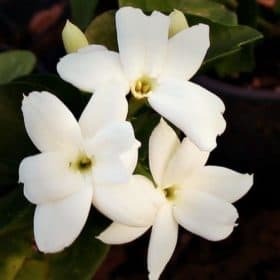 Most noses would find the aroma to be quite similar to that of the actual Tuberose flower. Organic Tuberose Essential Oil – Enfleurage cannot be distilled like most essential oils due to the delicate nature of the flowers. Enfleurage was the traditional method of extraction used in ancient Egypt and into the early 20th century, but solvent extraction using hexane to create “absolutes” has virtually replaced enfleurage except for our own Tuberose Absolute. Solvent extracted Tuberose is used extensively by the perfume industry, but not by us. No chemicals other than organic alcohol are used to extract the Tuberose Organic Essential Oil we provide. Either method (enfleurage or solvent extraction) is time consuming, and oil yields are quite small for the amount of materials used. 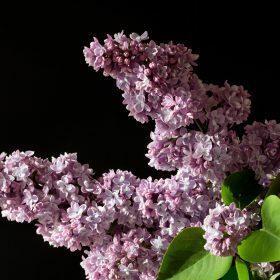 Over 3,500 pounds of blossoms are needed to produce 1 pound of the essential oil. This is why Organic Tuberose Essential Oil – Enfleurage is one of the most expensive oils on earth, even more than most Rose attars. In traditional Hawaiian wedding ceremonies, Tuberose flowers are worn as a wreath around the head of the bride. The heavy, sometimes slightly spicy, tenacious and sweet-floral fragrance of the Tuberose flower is quite distinct from all others. Perfumes using Tuberose are considered to be quite fabulous and are very expensive. In fact, a simple Tuberose Perfume can be made by simply diluting the Organic Tuberose Essential Oil to about 5% in a carrier or base oil on in alcohol or a combination of the two. 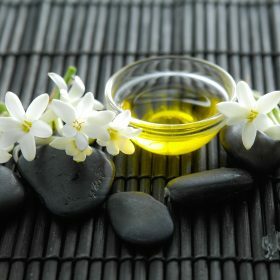 The unique aroma of Tuberose can rejuvenate the mind and body, and Tuberose´s magical fragrance is also considered to have powers as an aphrodisiac. 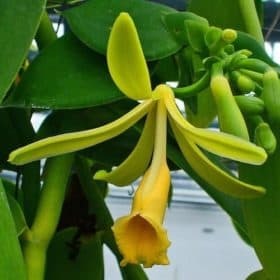 In India, it is called “Mistress of the Night”. Known by its romantic and sensual names, “Night Queen” and “Mistress of the Night”, Tuberose essential oil behaves as an aphrodisiac, and its strong, intense and intoxicating floral fragrance fills the air and creates an atmosphere of love. 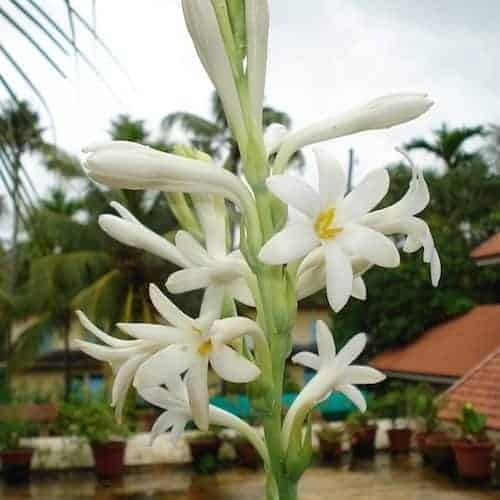 Tuberose Enfleurage oil is found to be very effective in treating frigidity and lack of libido. 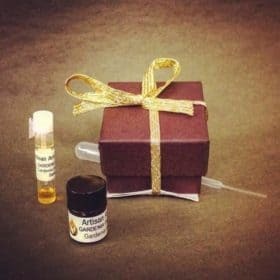 Specific components of this essential oil can stimulate those parts of the brain which are responsible for arousals, sexual feelings and libido. 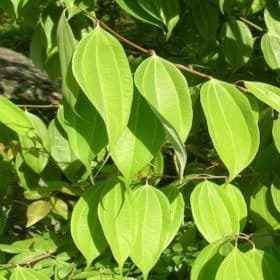 It can also relax the mind, relieve tension, and has a warming effect on the organs as it increases circulation of blood which can help with erectile dysfunctions, impotency, etc. This Organic Tuberose Essential Oil – Enfleurage can be good in sedating inflammations, particularly pertaining to the nervous system and the respiratory system. But, to have this sedating effect, it should be used in good dilution. Tuberose Essential Oil – Enfleurage (Organic) stimulates and increases blood circulation in the body thereby inducing a warming effect. This effect counters feeling of cold in winters, keeps the respiratory system warm and prevents deposition of phlegm and catarrh, increases activity and also helps cure sexual disorders. A lovely Amber color this one is. 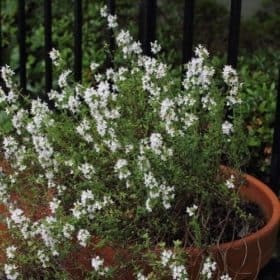 Mesmerizing scent from start to finish! Truly exotic. Simply fabulous. Fall in love with this oil. Beautiful! A little goes a long way! Will buy again!